There are too many variables to give a formulaic answer. Especially if there is a possibility that the question comes from someone wanting to extract and incorporate supposedly "key" jiu jitsu techniques into his or her own patchwork system. Jiu jitsu has tons of techniques, but the "invisible technique" is to TRAIN A LOT and especially if you want to emphasize self-defense more than sport, you need to TRAIN DEFENSE SCENARIOS A LOT starting with heavy scripting then adding more and more resistance and "fighting back." Even in regular sport drilling and sparring you constantly have to ask yourself basic questions like "what if I'm picked up for a slam", "could I be headbutted here, " "risks from elbows and fists and knees". It's not going to help if you are a fantastic de la Riva player and end up in a fight on the beach. For that matter the whole "bottom game" becomes a little problematic, more of a "survival spot" if someone takes you down by surprise (or weight, size) than a place to elect to fight from. Conversely, if you get put in some UFC fan's home-brewed guard (or a blue belts, you don't know who you are up against), are you going to try to pass it and give them a shot at a submission or standup, or ground and pound - with slamming too? If you are on the bottom, how comfortable are you that you will nail a triangle or arm bar and not get passed? How comfortable are you about neck injuries if you get stacked and instead of gradual pressure they drop their whole damn weight on you, maliciously? Did you drill how to give up the triangle and arm bar and get back to a safe spot? Do you watch your fingers and thumbs during training for attempted breaking? 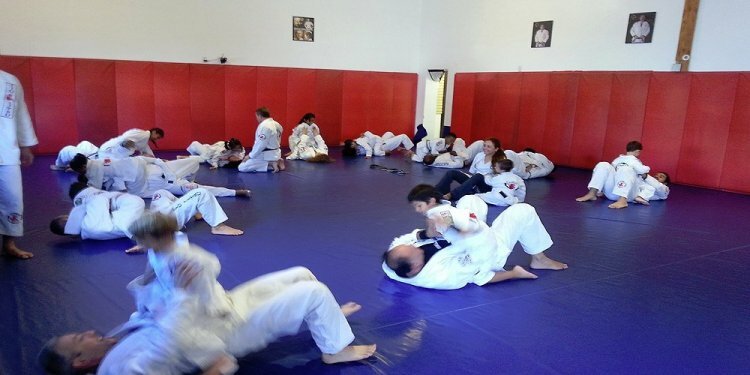 If you already train jiu jitsu, then you know that experience levels, cardio, size, and strength count for a lot. A mere 10 pound weight difference makes a big difference at a tournament! And even in the classroom. You can't ignore those things on the street either, plus you have the wild card factors like - the other person street fights a lot. The other person was in prison. The other person, though a clean cut business type, works out regularly at a boxing gym, including on heavy bags, and a gut punch or upper cut, much less a right cross, could be debilitating. The other person train jiu jitsu - or MMA! Add to that the fact that the most deadly punch known to man is the "sucker punch" and the most dangerous opponent is one who "has his crew with him", and your first instinct when you get that funny feeling that a fight is on its way should be to keep your distance and evaluate the surroundings, crowd, and fall-back plan (your friends are there?) just in case. The only person I personally knew who consistently won at bar fights using jiu jitsu was looking for each fight and had plenty of time to pre-evaluate. When someone is attacking you, especially out of the blue, you either need to get far away or crowd them close enough to minimize strikes and kicks - and if you make the wrong choice on the day some psycho wanted to knife you for a perceived insult, you may not live to regret it.